What are the ride wait times today? Can I take a backpack into LEGOLAND? Is outside food or alcohol allowed inside the park? What happens if it rains? Can I return or exchange a retail item I bought in the Park to a LEGO Store? Does LEGOLAND have a mobile app? What special events do you have coming up? What can you do, if you are two? What's going on this week at the Resort? What is the Great LEGO® Race open? How do I explore the park when planning our visit? How do I sign up for the LEGOLAND Florida Newsletter? Do you have parking for oversized vehicles? Do you offer Preferred Parking? What security do you have at LEGOLAND Florida Park? How old must you be to enter the attraction unaccompanied? How long do we have to access our Digipass photos? What if my photos are missing when I enter my Digipass code online? How can I view my photos if I have purchased a Digipass? Can I order my photos online after leaving the park? Do you have handicap parking available? What are the Souvenir Cup and Coca-Cola Freestyle station details? What can my 2 year old do? My child used to be able to ride his/her favorite ride, now they cannot, why? Do you have a retail shop in the Water Park? What are the Ride Height Requirements at the Water Park? What amenities and services does LEGOLAND Florida Resort offer in the theme park and water park? LEGOLAND® Florida Resort is a multi-day vacation destination built for kids 2-12. Located in Central Florida’s Winter Haven, just 45 minutes from Orlando and Tampa, the resort includes an interactive, 150-acre theme park with more than 50 rides, shows and attractions inspired by popular LEGO® brands and characters, LEGOLAND Water Park and a world-famous botanical garden. LEGOLAND Hotel, located just steps from the theme park entrance, features 152 rooms and suites, each with its own LEGO theme. LEGOLAND Beach Retreat is a lakefront resort with 83 themed bungalows offering 166 separate rooms. Prices, times and schedules are subject to change without notice. 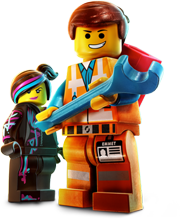 LEGO, the LEGO logo, the Minifigure, DUPLO, the DUPLO logo, LEGENDS OF CHIMA, the LEGENDS OF CHIMA logo, the FRIENDS logo, the MINIFIGURES logo, MINDSTORMS, the MINDSTORMS EV3 logo, NINJAGO, the NINJAGO logo, NEXO KNIGHTS, and the NEXO KNIGHTS logo are trademarks and/or copyrights of the LEGO Group. ©2018 The LEGO Group. All rights reserved. Star Wars™ and all characters, names and related indicia are © 2018 Lucasfilm Ltd. & TM. All rights reserved. LEGOLAND FLORIDA RESORT IS PART OF THE MERLIN ENTERTAINMENTS GROUP (LONDON: MERL).